Earth apples. Peel and cut them small, simmer them in water and press it well out through a fine cloth; chop them small and fry them in bacon that is cut small; take a little milk there under and let it simmer therewith so it is good and well tasting. EarthApples seed potatoes began with the goal of bringing gardeners and balcony growers an amazing culinary potato experience, replete with flavour and colours. Like producers of fine wines, we carefully consider the special characteristics of each variety and suggest the best ways to prepare and serve them. So as the grower, you’ll know how to get those crispy golden fries, those mouth-watering baby potatoes or that brilliant splash of colour on your plate. We realize not everyone has a garden, so we have assembled a nice selection of varieties that also grow beautifully on a deck or balcony. Our EarthApples are delicious, healthy, and easy for you to grow, even the first time. And when harvested, they are the perfect pairing to any meal! EarthApples was founded on a strong potato tradition spanning many generations across two continents. EarthApples’ roots were formed in the Netherlands, where our family began growing potatoes on a small traditional farm using mostly European potato varieties and agricultural practices. Seeking a new challenge and new opportunities, the family moved to western Canada in 1988 and settled near Edmonton, Alberta. The seed potato growing tradition continued, and over the years expanded to include the introduction of new European potato varieties into the North American market. By the early nineties, the potato industry had become stagnant and was ready for a change. Our family business recognized this and helped to introduce innovations that continue to positively impact the potato industry today. This included the baby potato segment, the yellow fleshed segment and the red-skin, yellow fleshed market segment. Continuing that innovative tradition has been a benchmark of the company and it is through this creative spirit that we have introduced EarthApples seed potatoes for everyday home and garden enjoyment. We love to share our wonderful experiences in growing and enjoying these unique varieties, while testing and introducing new ones. We wish you success in your EarthApples journey and always welcome your feedback. Dig in, and enjoy! 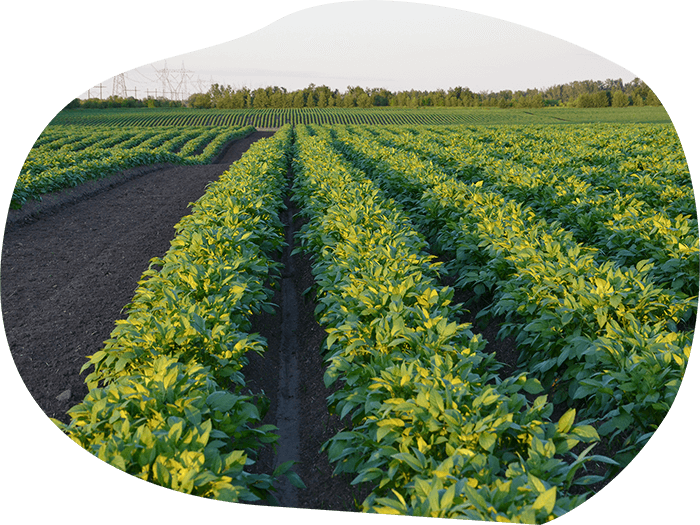 We are proud to work with great high generation seed potato producers growing our delicious EarthApples varieties in the Edmonton, Alberta, area. These producers supply us with top quality certified seed potatoes which have been inspected by the Canadian Food Inspection Agency (CFIA). 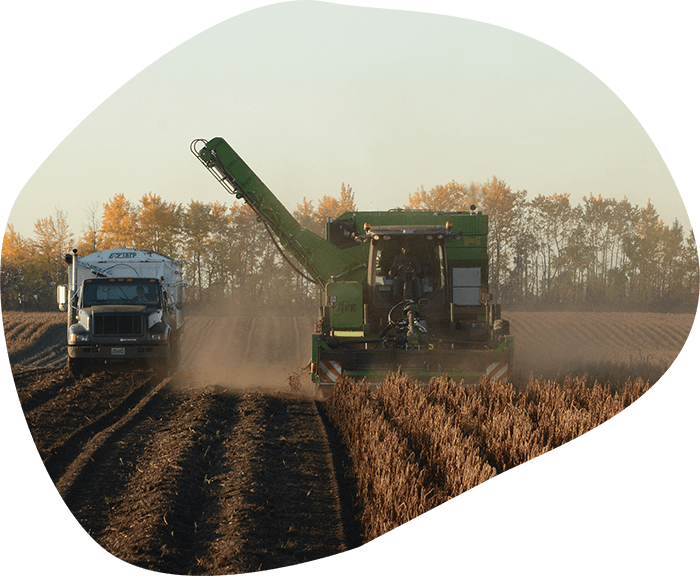 We package our EarthApples seed potatoes in a state of the art facility located in Stony Plain, Alberta. Our facility is outfitted with solar panels to help us reduce our carbon footprint. We further incorporate high efficiency LED lighting, electric forklifts, and energy efficient ventilation to further reduce our impact on the environment.